Resting in the shadow of the Superstition Mountains, Sunland Springs Golf Club is the perfect place to refine every aspect of your game. Open to the public and designed by Jeff Hardin, 27 holes of desert-style golf await the golfer looking for an open and forgiving layout. A Par-65 executive golf course measuring 4,732 yards from the longest 18-hole layout, accuracy from either of the two sets of tee boxes will reward the player with birdie aspirations. Located off the U.S. 60 Highway and Signal Butte in East Mesa, we welcome you to the centerpiece of the Sunland Springs Village master-planned active adult community. Stay up to date with all of the events happening at Sunland Springs Golf Club on our event calendar. 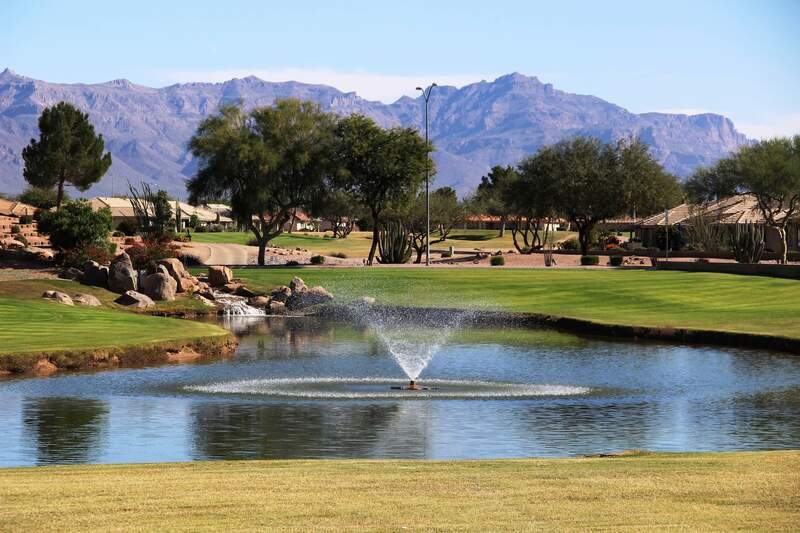 With 27 holes at Sunland Springs Golf Club, choose from our three 9-hole layouts: Four Peaks (Par 31), Superstition (Par 32) and San Tan (Par 33). Take a look at some of Sunland Springs Golf Club's most beautiful images. Download the Sunland Springs Golf App for special promotions, and to book tee times on the go!